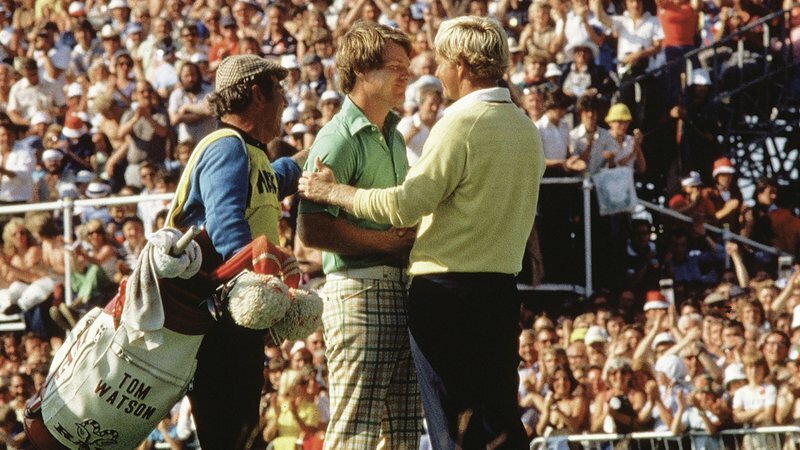 The red-hot summer of 1977, the year a gap-toothed twenty-something from Kansas took down golf’s greatest in a final-round scrap like no other. Forty years on and it is a battle which is still regarded as one of the finest sporting duels in history. Everybody knows it by “Duel in the Sun”. Mention it to golf fans not even born four decades ago and they will knowingly nod. Books have been written about it, a restaurant named after it and the 18th hole at Turnberry has been renamed after this never to be forgotten contest. If our legends stand out for something, it’s really because of their ability to make History. Moments in the world of grass sports that will be remembered forever. Our Legends will always be remembered for leaving a style of swing that will always mark upon us. 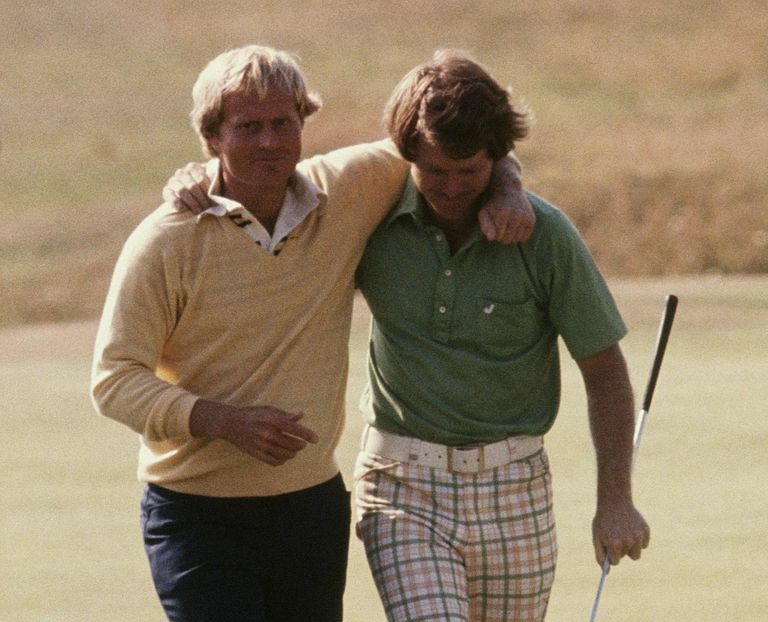 That is why we have always opted for Legends of the sport that have made History in Golf and have created a style. Choosing the jumpers they themselves brought it, making possible to wear it for those of us who are golf lovers, getting the possibility to always wear a sports legend. We create the perfect vintage jumper with the best quality to remind these two big stars. Sweaters made from Merino wool, are soft, have excellent fluidity, and are breathable, comfortable to wear, have great stretch recovery properties and excellent wear performance. 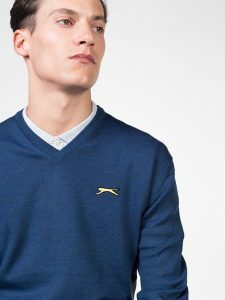 Choose the Sky Blue Jumper from Jack, if you want to wear the sweater of one of the best golfer in History. 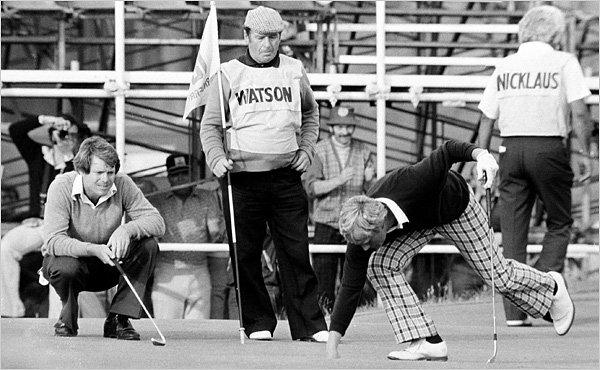 Slazenger Heritage accompanied the so-called “Golden Bear” for being the one who has won a greater number of majors. 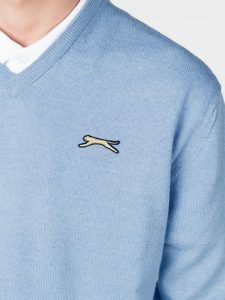 Choose the Blue Jumper from Tom if you want to wear a Legend like Tom Watson which is considereted in one of the best American golfers, born in Kansas City, that was the number one player in the world according to McCormack’s World Golf Rankings from 1978 until 1982.